Asset Management is a system that involves managing and developing the asset distribution, maintenance, and utilisation of assets within a business, so with Eworks, you can easily plan your maintenance and make Asset Management a vital part of your business, including on your mobile device! 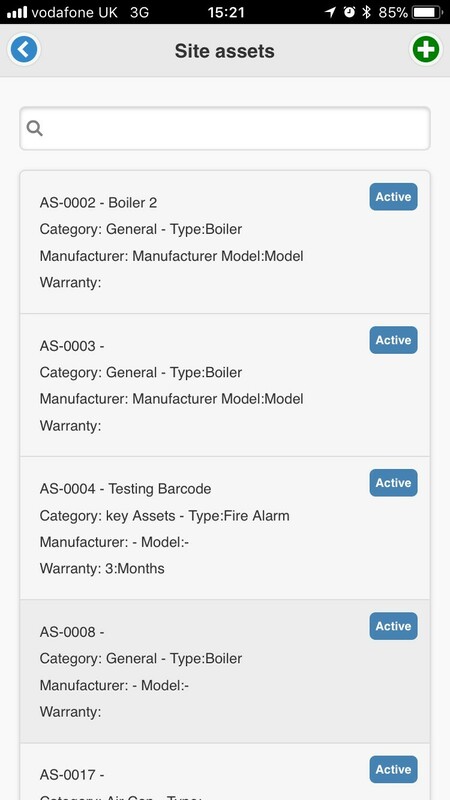 You can view asset information on the Eworks App whilst on the move, so you can view the assets service history, capture bespoke information regarding the asset and capture photos and any parts used against an asset is key for any Asset Management Software. You don’t need the admin system to view information on assets as you can search for any asset on the mobile App with our search filter and gather any information that is required on whilst on a job or on your way to a job, just to get yourself prepared! You can even add an asset to a job whilst on the move which saves you having to rely on the office staff to make these changes, which saves time and money, which is what every business wants in a system like ours. Mobile Assets hold many benefits as you can plan, maintain and add assets from your mobile device, which is handy for staff always on the move! Unlike most Job Management Software out there, we provide constant support to all our customers, whether you have a quick question, require some more training on the admin system or the app or require a bespoke to change, we are always here to help with our super friendly customer service team and 24/7 support email. Eworks Manager offer many company benefits and above is just one feature so if you’re ready to ditch the paperwork and start your Eworks journey, sign up for your 14-day FREE trial and try it out for yourself! If you would like to hear more about our Mobile Assets feature, please feel free to call our office directly or pop us over an email, we would love to chat and book in a free online demonstration of the software and discuss this feature in more depth. Engineers have the ability to see what has happened in the past.